l This construction makes the machine can work like a basic type cnc router as well as a double spindle cnc router. Using one or two head, as you like, very convenient. piece by vaccum-adsorption as well as by clamp. legs with adjustable leveling feet. assembly; this design is minimizing the vibration while increasing accuracy and repeatability. allow for higher feed speeds and a better quality of cut. l The Y-axis uses a dual drive, one for each side of the gantry. l Well compatibility: CAD/CAM designing software e.g. Type 3/Artcam/UcanCAM etc. l Has the function of re-carving after break point and power failure. l All the linear guides are centrally lubricated from a central system. 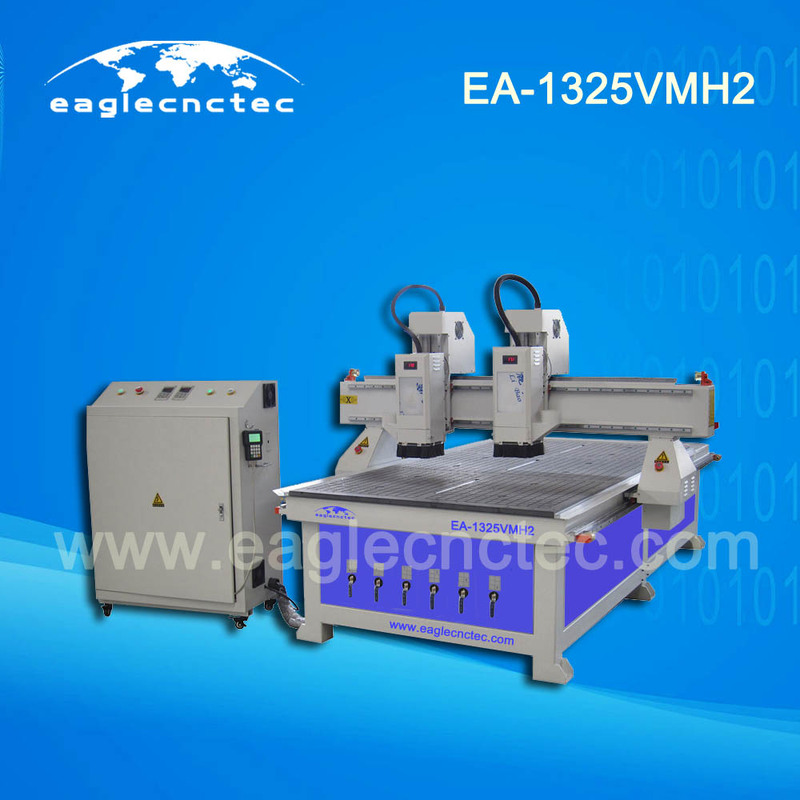 Many things of double heads cnc router wood cutting machine can be customized as per your request. They contains spindle(air or water cooled, power, brand), driving motor(stepper or servo, brand, model), controller(Richauto DSP, NC studio, NK105 DSP), linear guideway(brand, size), inverter(brand, model), driver(brand, model). Double heads cnc router wood cutting machine will be fully wrapped with cling plastic to avoid rusting during shipping, and then packed into strong fumigation-free wooden case.